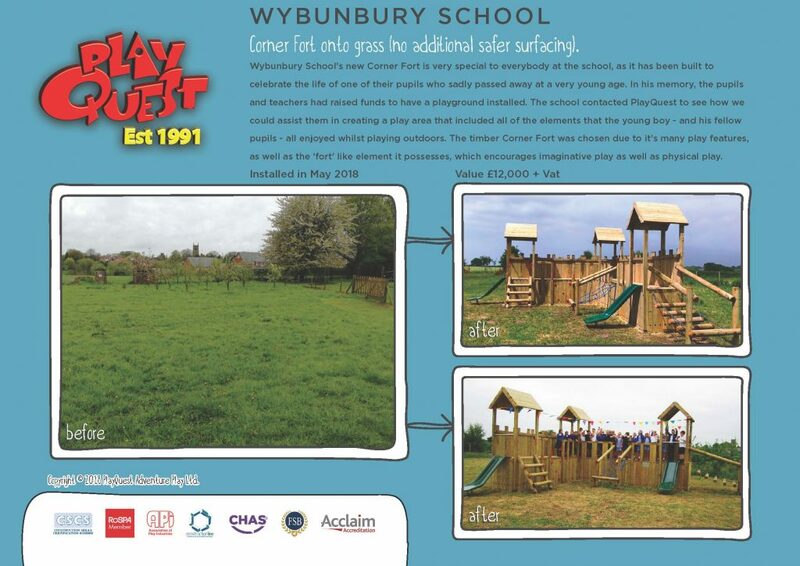 Wybunbury School’s new Corner Fort is very special to everybody at the school, as it has been built to celebrate the life of one of their pupils who sadly passed away at a very young age. In his memory, the pupils and teachers had raised funds to have a playground installed. The school contacted PlayQuest to see how we could assist them in creating a play area that included all of the elements that the young boy – and his fellow pupils – all enjoyed whilst playing outdoors. The timber Corner Fort was chosen due to it’s many play features, as well as the ‘fort’ like element it possesses, which encourages imaginative play as well as physical play.